Availability : Available in 5 shades. In terms of packaging, I kinda love how the packaging differentiate by the feel of the package. Eh. I mean the packaging is quite similar to the color sensational but for the Matt Collection it have a matte packaging. No overpowering smell. I think this lipstick does not have scent at all. In terms of how it feels when applying is, it feel creamy and glides on smoothly. The pigmentation is also build-able. Last around 2-3 hours. For the first 2-3 hours it is quite hydrating. Nice color selection too! Its matte but it doe not make your lips look flat. I love how this color really suits my skin tone. I have a yellow fair-medium skin tone. And never felt so love with red lipstick. 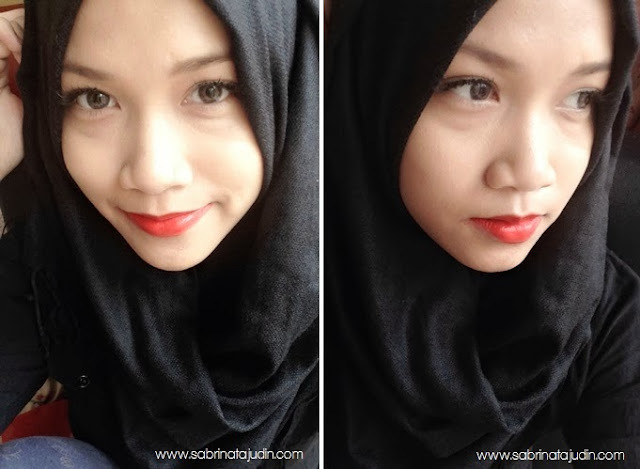 thank you to Sabby and Raja Suefina who encourage me to wear bright lipstick! I wish color of the package id differentiate by the colors. Oh I am a sucker for nice packaging makeups, but this is not a big deal. It is not drying but, after 3 hours of wearing it, my lips tend to lost it moisture, so a lip balm application is needed. I don't know whether the lipstick it self is making my lips dryer. 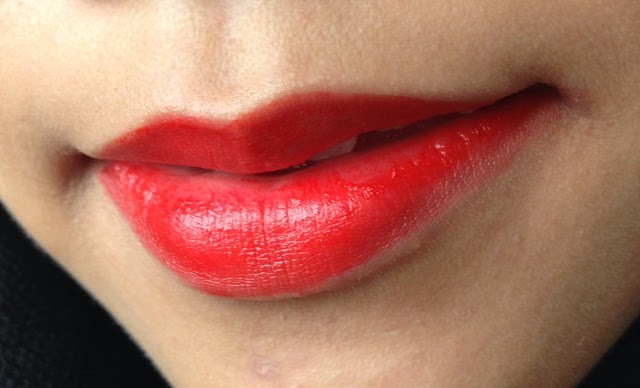 Recommend to anyone who want a red matte lipstick with a hint of orange tone! Suits for olive/yellow skin tone.